Director Edward Hall marks the 30th anniversary of the miners’ strike with Beth Steel’s momentous play, which looks at the profound effect of this period in British history and its enduring legacy. Performed by an excellent all-male cast, the action begins with the induction of two 16-year-old apprentices into a Mansfield mine. They are quickly plunged into the harsh reality of working life by the miners, led by the gruff yet kindly pit deputy, Colonel. But the boys barely have time to learn the ropes before the strike is called and the action tumbles inevitably towards an atmosphere of political turmoil, caused by the intense opposition between Margaret Thatcher and the mining leader and trade unionist Arthur Scargill. What ensues is a battle of almost epic proportions: on one side are the politicians, obsessed by economic ideology and determined to avenge the previous strikes of 1972 and 1974 by crushing the unions; on the other, the miners, ordinary men desperate to protect their livelihoods and those of their families. This is an intensely political play and each audience member’s viewpoint will no doubt be shaped by their personal political views. Yet even the most staunch of Thatcherites will struggle not to be moved by the miners’ plight as the play moves towards one of the most powerful conclusions I have ever witnessed. Ashley Martin-Davis’s breathtaking set plunges the audience deep into the pit, which is dominated by a menacing steel cage lift and a mining shaft. The atmosphere is one of intense claustrophobia and we are constantly reminded of the dangers of the mine through the use of impromptu explosions and clouds of billowing smoke. As the play draws to a close, the set is also manipulated to enforce the differences between the worlds of the right-wing politicians and the mining community; as the elite tower above in the theatre’s rafters, the people they represent cower in the darkness of the mining pit below. The message about the long-lasting effects of this industrial crisis on the common working man could not be more clear. At times the play loses momentum by trying to achieve too much; in some scenes between Ian McGregor, chairman of the National Coal Board and the Conservative minister Peter Walker, the dialogue becomes a detached recounting of history rather than a reenactment of it. 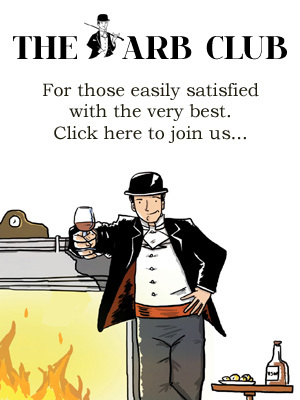 Thankfully Dugald Bruce-Lockhart provides some comic relief as right wing campaigner and journalist David Hart, whose ridiculous outfits and Etonian manner point out how out of touch political representatives remain today. 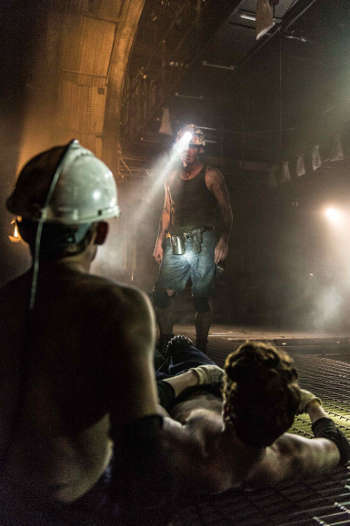 Unsurprisingly, the play works best when we are down the pit with the miners, who share a strong fraternal bond. Sweaty and dirty they may be, but the workers’ fierce sense of pride gives them a purpose. Their roguish chat barely masks the affection they share for each other, which is quite literally laid bare in one scene where the men undress and sing whilst washing each other at the end of their working day. Contrasted with the cold, contrived actions of the politicians, it is the miners’ brutish sincerity and warmth that gives this play its soul, and as the effects of the strike take its toll on this community both financially and emotionally, the ensuing breakdown of friendships and allegiances makes viewing hard to bear. Yet intense as it may be, this is a hugely important play that remains relevant as an homage to hard work, social justice and human dignity. Wonderland at Hampstead Theatre runs until 26th July 2014. For more information and tickets, visit the website.